What keeps us coming back to our writing? For me, personally, I will only come back to my writing if I’m interested in the story and my characters; if I lose interest, or don’t know what I’m going to do next, I leave it. Think of it as reading a book: if the start is promising but the middle is lacking, I lose interest, and I stop reading. This is the impact of getting stuck writing a scene. 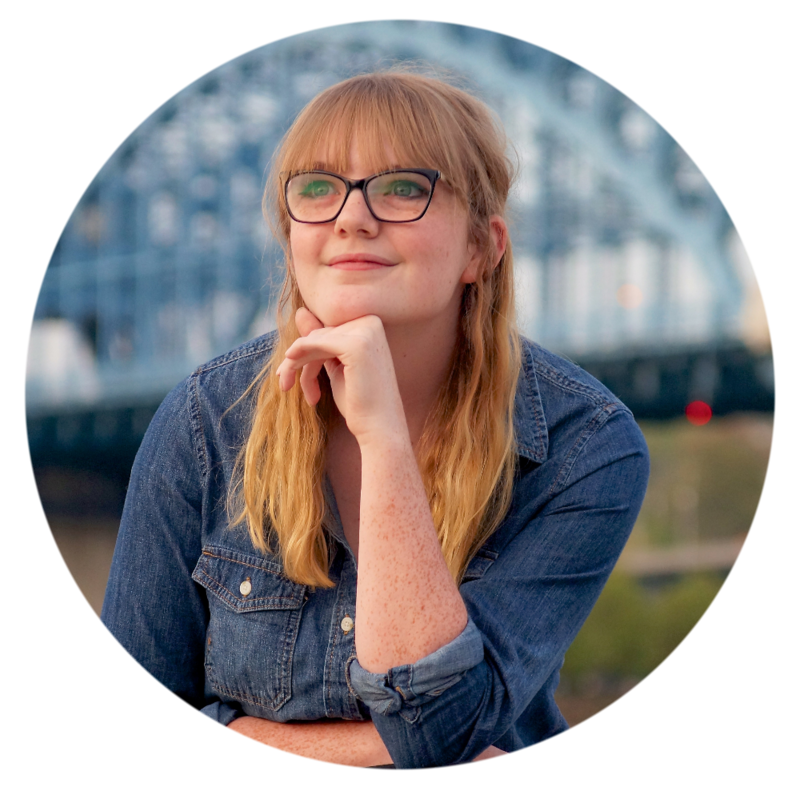 Maybe things aren’t going the way you pictured in your head, maybe you’re battling writers block, or perhaps you’re just having a “bad writing day.” Whatever your reason, it happens, and it keeps you away from your writing like a magnet turned the wrong way. It’s frustrating. Which is why I made this post. The morbid truth about writers: we love killing off our characters. To “kill” does mean to physically destroy, but if you want a bigger challenge, try killing your character mentally. Hurt them in such a way that they can’t be easily repaired. Or if you aren’t ready to kill a character, maiming them, if done right, can be just as effective. There’s always that one (or two, or three, or eight . . .) scene that you cannot wait to get to, right? Or maybe that’s just me. Hmm. 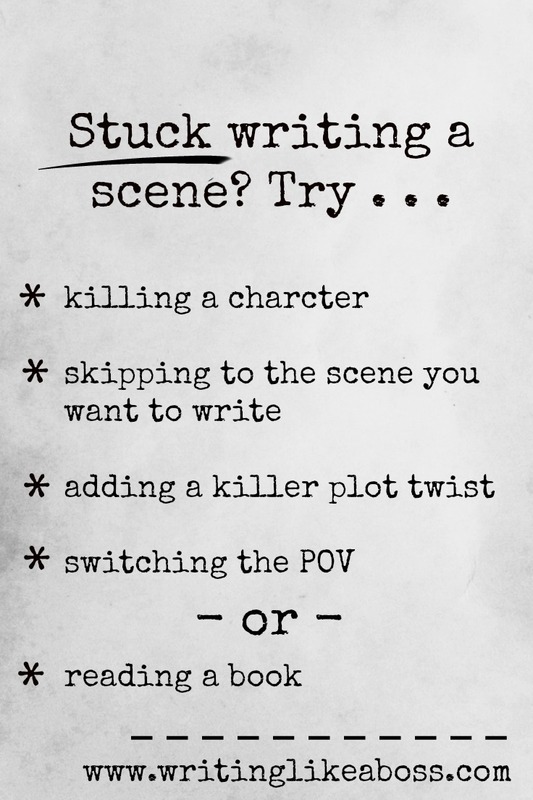 Click [here] for plot twist ideas. Switch the point of view to another character, preferably in some other location or situation. This also helps if your protagonist is doing something uninteresting and you don’t want to bore your readers, or yourself for that matter. There wouldn’t be writers if there weren’t books . . . but there wouldn’t be books if there weren’t writers . . .
I’m only mostly joking. I think this especially great for NaNoWriMo when you don’t have time to slow down and think up a good twist, it really gets the story moving. Outside of NaNo, it’s important to make sure there was a legitimate reason for the explosion and not just a random stick of dynamite in the middle of the road. 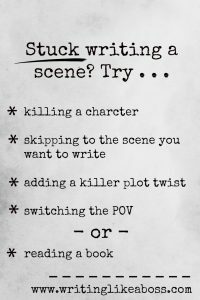 Have your own trick for getting stuck in a scene? Please feel free to share below! EDIT: Somehow I managed to forget the most important one: delete the last scene, and rewrite it differently. I guarantee it will be better the second time, and it will also get you out of your rut, so it’s pretty much a win-win solution. Why not try it?